Godiva Assorted Chocolate Pearls are little confections of chocolate perfection. 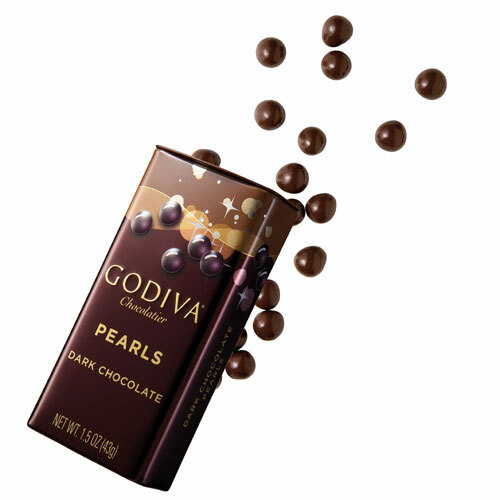 The Pearls are packaged in take-me-with-you tins so that you never have to leave your Godiva far behind. Ingredients: Sugar, cocoa mass, cocoa butter, glazing agent (shellac), emulsifier (soya lecithin), flavours. Allergy Advice: Contains soy, May contain tree nuts, milk, peanuts and sesame.